A necromancer with a checkered past bites off a little more than he can chew when his first client asks him to hunt down a ghoul. 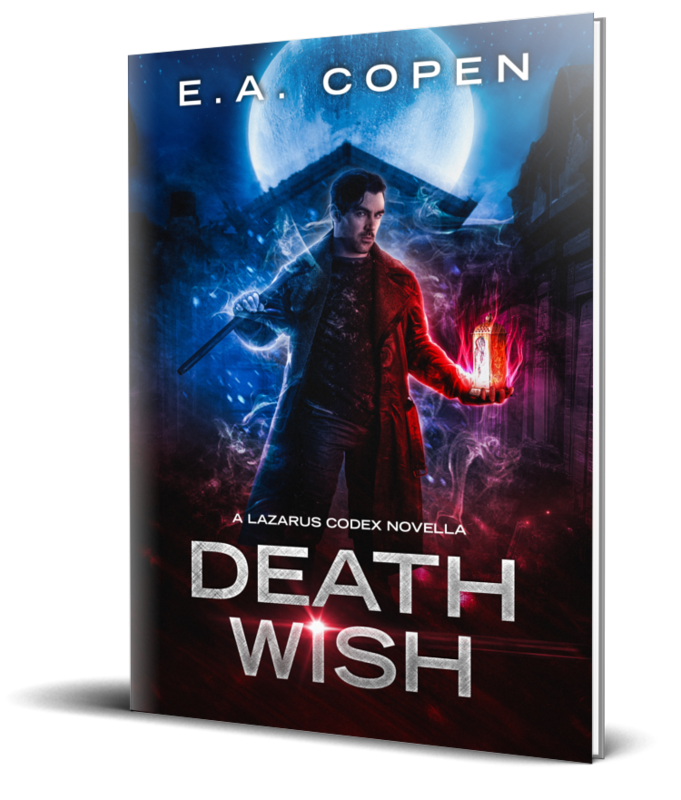 Enter your email address to get your free copy of Death Wish delivered to your inbox. You'll also be added to my Reader's Group and be the first to know about sales and new releases. Unsubscribe at any time. I hate spam as much as you do so I'll never send you any. Just need to confirm your email address! Check your inbox and click the confirmation link to get your free book! Add eacopen@eacopen.com to your address book.